The most popular condo configuration we get asked about is the 2 bedroom / 2 bath floorplan. It understandable... that second bedroom and bathroom make a huge difference when you have company or just need some space for an office or den. To help you find that 2 bedroom condo we've put together this search page that only shows 2/2 condos for sale in Downtown Miami. 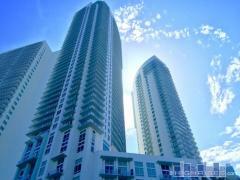 If you'd like to arrange a tour please contact the Alex & Joe Team at 305-438-7778.